50% Off Wine Bottles Wed. The Lower East Side’s sexiest restaurant and lounge, The Stanton Social NYC, is a collaboration by one of New York’s hottest teams of restaurant creators. 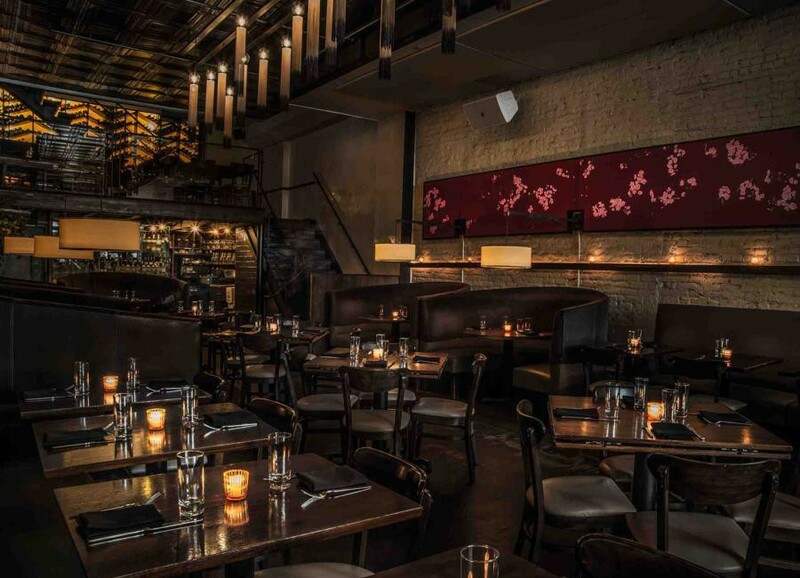 Celebrity Chef/Owner Chris Santos and Tao Group owner Rich Wolf worked with the James Beard award winning design team AvroKo in 2005 to create this “jewel” of a restaurant, conjuring up their favorite dishes and by paying homage to the LES garment industry past with innovative design. Chef Santos’ trend setting multi-ethnic share plate menu is designed to offer guests a chance to experience multiple dishes and flavors throughout their meal. The menu includes a full raw bar, as well as an array of share plates, including favorites such as French Onion Soup Dumplings, Potato & Goat Cheese Pierogies, Lobster Roll Sliders, and the Stanton Social Beef Wellington. The three-level space features a thirty-foot glowing, herringbone-patterned wine wall displaying over 2,000 bottles of wine. From the fringe-covered walls, fine lizard skin banquettes, hat box lampshades, and belt strapped pillows, The Stanton Social tips its hat to the luxury and glamour found in the textiles and fashions of the 1940’s. From the Skylight Dining Room, the Cherry Blossom Lounge, and the Wine Mezzanine, The Stanton Social offers a variety of options for those seeking a venue for their upcoming special event.